If you are interested in becoming part of the Watermen’s Company detailed below are the various methods of joining. However please feel free to contact Carol Ratcliffe, the Assistant Clerk, for more information or guidance about this. The Company is known for its warm welcome and the best of hospitality whilst upholding the traditions of the City and the River Thames. 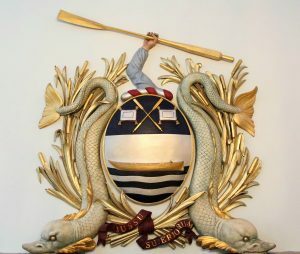 Membership of the Watermens’ Company is composed of Journeymen and Craft Owning Freemen – the term Freeman is used to describe both ladies and gentlemen. Apprentices bound to the Company who have qualified for their Boat Master’s Licence (previously the Watermen’s and/or Lightermen’s licence). Freedom of the Company by Patrimony (without Craft Owning Status). Those not directly involved in working on the River but who would wish to join the Company could be eligible to do so under this category. Last year we admitted twenty one new Craft Owning Freemen to the Company. To have a connection with the Company or the River Thames.You must be prepared to contribute to the Company and its Charities – financially and/or by the giving of your time. To be a Freeman of the City of London. If you are not already a Freeman of the City of London the Company is able to assist you with this process. To be sponsored by a Court Member and a Craft Owning Freeman . The Assistant Clerk will be delighted to help with the necessary introductions.